Great variety of aprons from Fame Fabrics. 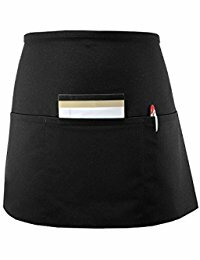 3 pocket waist aprons, bistro aprons, half bistro aprons, bib aprons and more. 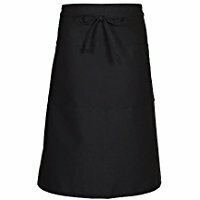 Customers can buy Fame Fabric aprons form our web store. From the front of the house for your wait staff. To the back of the house for your prep and line cooks. We have bistro and half bistro’s style in six colors to compliment your restaurant or banquet centers décor. Furthermore, our three pocket waist version come in six different colors. Our three pocket reversible or longer length style, in black only, are the perfect addition to any servers’ uniform. Finally, our bib and formal styles round off the selection. 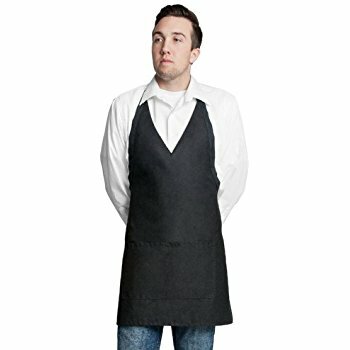 All aprons are made from 65% poly 35% cotton twill fabric and are durable and machine washable.